We've been busy in good ways. We have been lucky to have some great family visits. 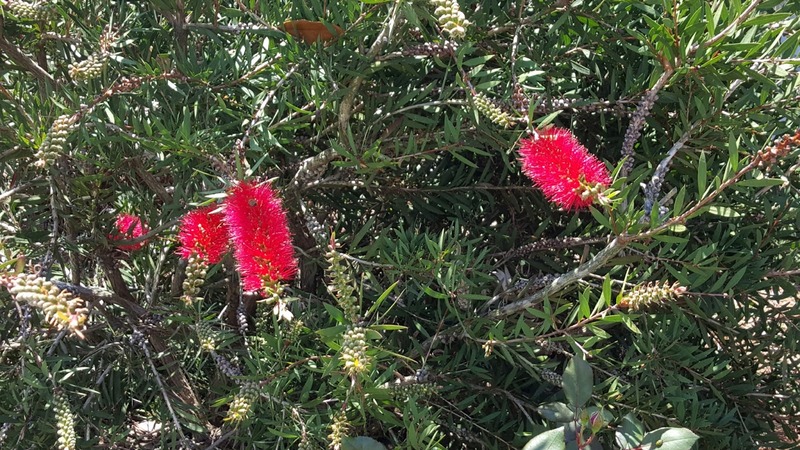 It is certainly a long time from October to June or August. And the picture above is also good. 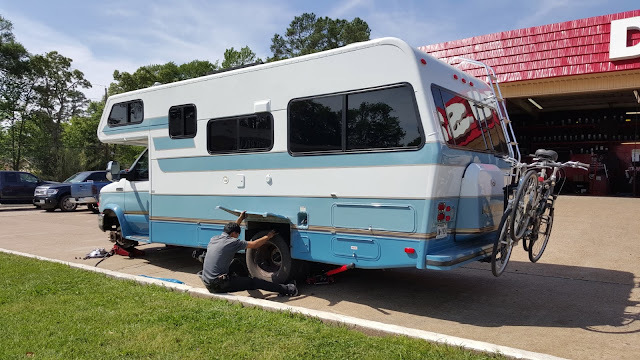 Lady Blue is getting some tire rotation, yes, all four wheels up, in Conroe, Texas. The main reason was to replace the woven valve extenders on the dually wheels with brass valve extenders. Thank you for the connection to Borg Equipment and Supply Company from Ed and Carol The new extenders are solid and do not move. They support the new tire pressure monitors very well. Once Lady Blue was set, we left Livingston Texas on Route 190. This was back on March 27th, but we still had to detour at Woodville for flooded roads. 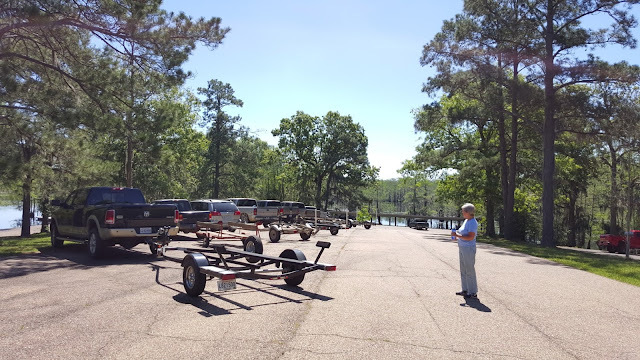 With Sandy Creek COE closed, we went to Twin Dikes on Sam Rayburn. It was a good choice. Even here the water is quite high. Note the high water coming right up to the road. We can imagine that these campgrounds are flooded in spots now with the heavy rain in Houston this week This is only about an hour north of Houston. Leaving Jasper, Texas on Route 63 we soon found that we had to detour again because of flooding on the Sabine River. Our detour took us up to Toledo Bend Reservoir , east on Route 392, south on Route 171, east on Route 28 towards Alexandria, Louisiana and Kincaid Campground in the Kisatchie National Forest. The picture above is from our site. 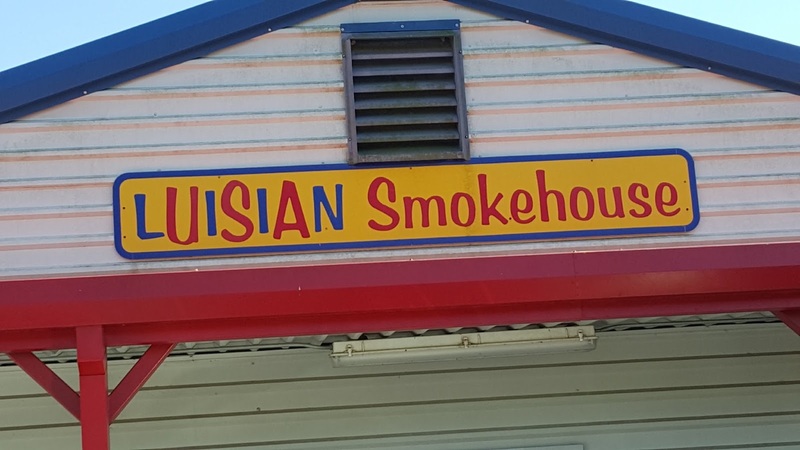 It is the local school vacation week and we know we are in Louisiana because many campsites have a huge pot to place on a large portable burner. This is for all the Crawfish needed for the family. 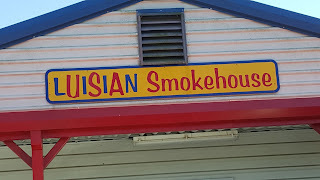 Sometimes it is a boil including Crawfish and good Louisiana sausage. Like the obvious presence of the Texas state flag on properties on Texas, here it is the proud display of LSU , Louisiana State University, flags, colors, and bumper stickers. The colors are purple and gold and by the way, the mascot is Mike the tiger. From Alexandria, we head south on Route 49 to Chicot State Park. This is a popular park with many campers bringing their boats along for fishing. Jan is enjoying the Bald Cypress and Spanish Moss on the walkway. From Chicot we head back on Route 49 south to Lafayette and then a little east on Route 10 to Breaux Bridge. 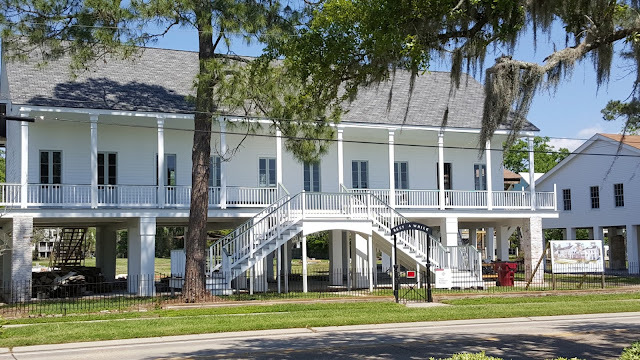 Breaux Bridge is the Cajun Capitol of the world and we were early for their Crawfish Festival. 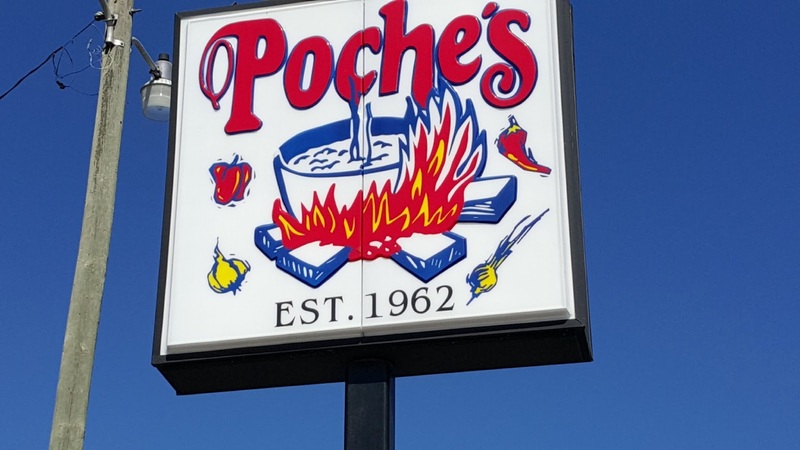 However, we did have some good Crawfish at Poche's . 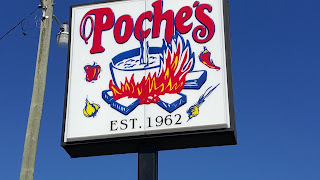 We also stayed at Poches Fish N Camp. 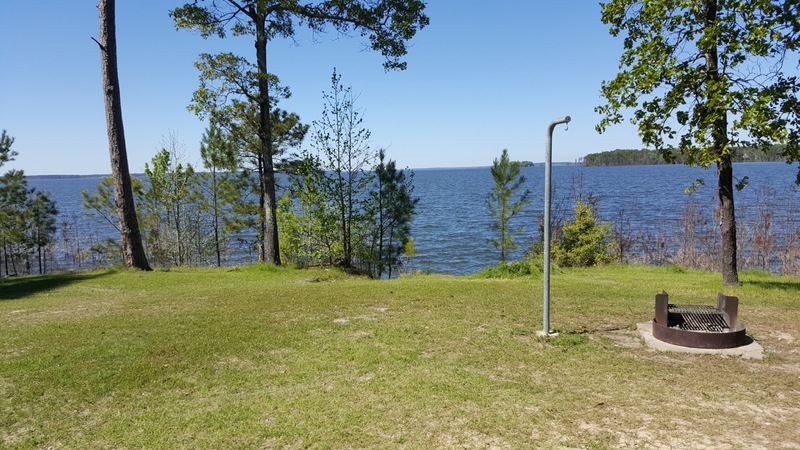 A very relaxing campground with a number of fish ponds that are acres large. The campsites are located around the ponds. For campers, they honor Passport America Sunday to Wednesday and Escapees 50% always. Once again , we are on Route 10 east. This section has a long drive on elevated highway over the bayous. The local campers kept reminding us that a lot of Louisiana is below sea level, not just New Orleans. We had hoped to camp at Ticfaw State Park, but that is also closed due to flooding. 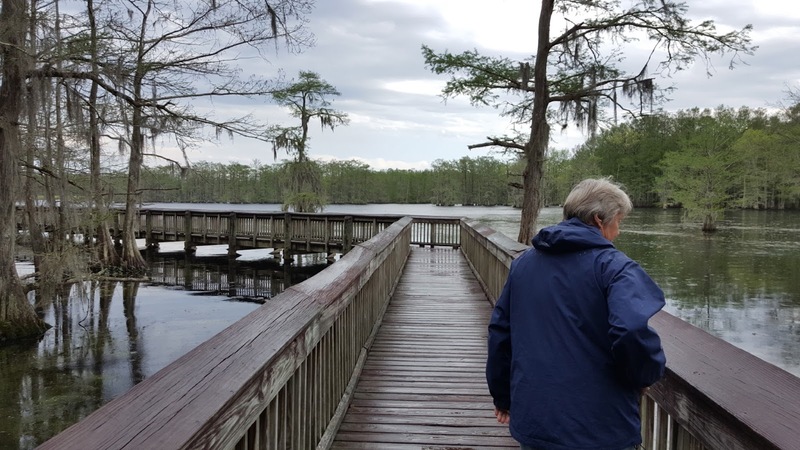 We continue east on Route 12 past Baton Rouge to Fontainebleau State Park in Mandeville. Jan and I notice the difference of Parish divisions in the state instead of Counties. 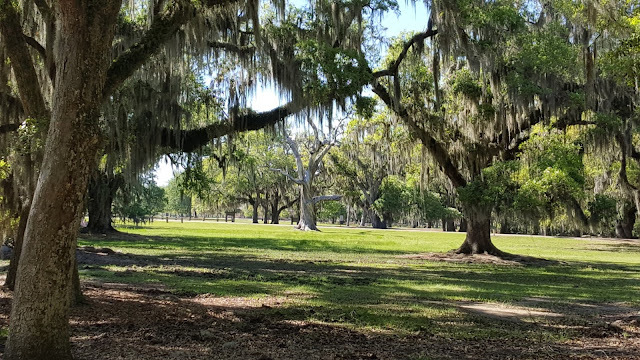 The grounds in Fontainebleau are quite nice with ancient live oaks covered in moss. A nice addition to being at the park is the proximity of the Tammany Trace Bike Trail. We just ride out of the campground and right onto the trail. 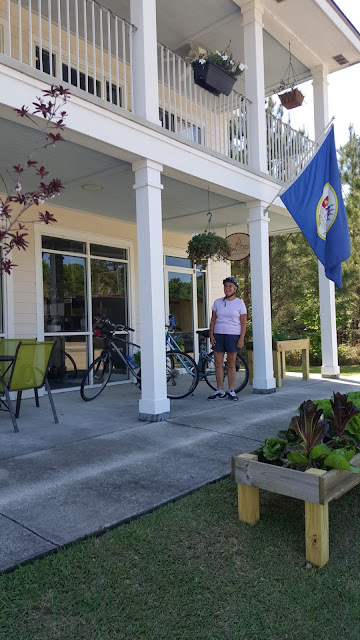 Once into Mandeville which is on the northern shore of Lake Pontchartrain(New Orleans is on the southern shore) we can bike ride past some great views. 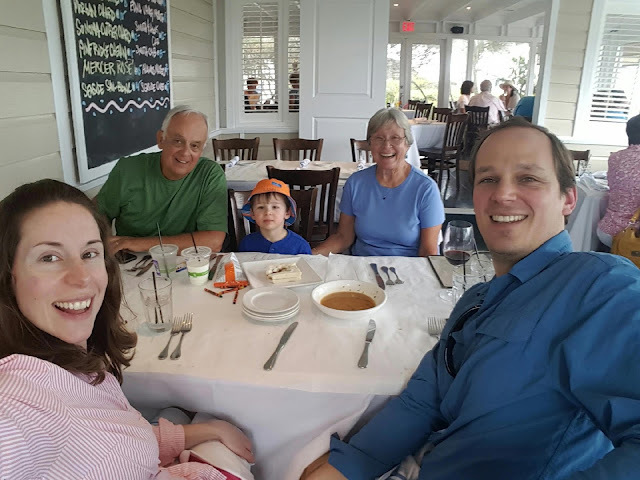 Before we head back, we need to grab a bite to eat at a nice little cafe. 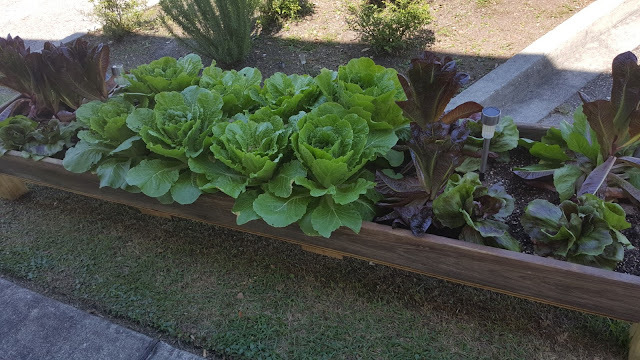 The lettuce and spices are grown right outside in the boxes. 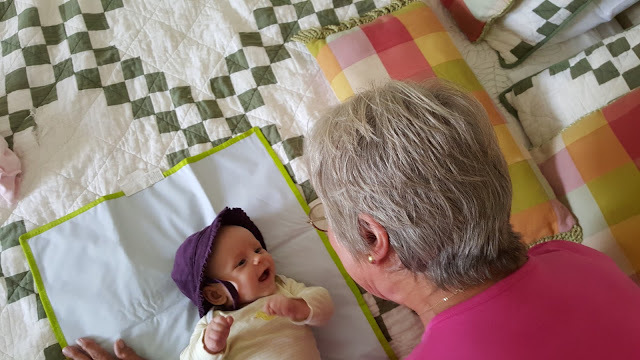 These last pictures are a little out of sequence, but we thought a number of you would like to see the new addition to the family that we have mentioned, oh, a lot. This is Jan's first conversation with Lilly. Looks like Lilly is happy with it. This picture was taken by Scott . 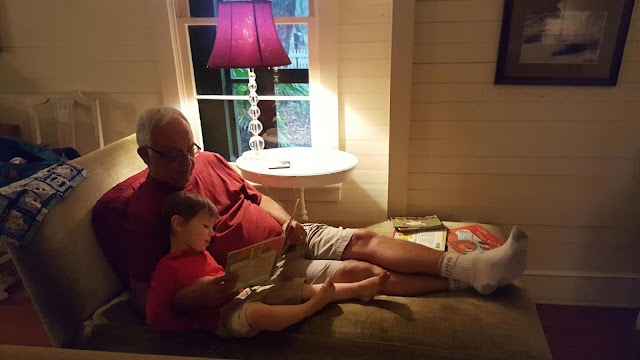 A great time for Grandpa with Lucas , reading a favorite book. Yes, Lilly is here too, taking a nap. Rachel is really good at taking group selfies. So, Bruce needs to take some lessons because we have a hard time taking a selfie for two. This was at Bud and Alley's Restaurant . Everybody looks great, can't wait till we see the whole family in 2 months. If you follow this blog, we are still about weeks behind. Jan and I plan to catch up in the next few weeks as we head north and east.